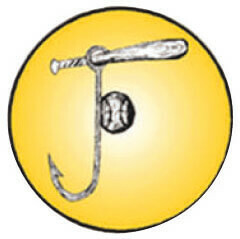 The Eau Claire Cavaliers is an amateur baseball organization that started in 1971. The Cavaliers look to continue their success on what they have achvieved in the past two seasons as a member of the Chippewa River Baseball League. The Cavaliers finished with a 17-5 league record and won back to back CRBL North Division Titles. Returning from the last years team is All-CRBL First Baseman Tom Mewhorter (.394 AVG, 17 2B, 51 RBI), CRBL Honorable Mention Jake Jenneman (7-2, 77 K’S, 3.88 ERA), and CRBL Rookie of the Year Paul Petit (.386 AVG, 3 2B, 1 3B, 19 SB and went (3-2, 38 K’S, 4.44 ERA). Other returning are Jordan Wilson (.425 AVG, 11 2B, 3 3B, 5 HR, 33 RBI, 16 SB), Tyler Herman (.405 AVG, 12 2B, 1 3B, 5 HR, 31 RBI). Field Manager Matt Miller returns for his fifith season and will lead the Cavaliers into competition in the Chippewa River Baseball League in 2019. The Cavaliers would like to wish all of teams of the Chippewa River Baseball League the best of luck in the league in 2019. We invite all baseball fans to come to Carson Park for baseball action at its best this summer.